Unbelievable!! Christmas is already around the corner! During November and December, our college team has been non-stop training and continuously competing. At UGPM time flies! This fall we participated in several tournaments such as la Copa Puerta de Hierro in La Cañada, which was attended by Victor and Andrea from November the 24th to the 27th. Simultaneously, Elías and Costi participated in the professional tournament Melia-Gambito, in which they demonstrated their great level. Previously, Andrea won the Guadalhorce Championship 2016. Unfortunately, the final Cup of the Miguel Ángel Jimenez Circuit, which was held in Alicante this past 17th and 18th of December and where our players Alba and José María were participating, was cancelled due to the heavy rains. The championship has been postponed for February. Entering our Spanish winter, Roberto, Ryan, Andrea and Víctor went to the Balearic Cup from the 3th to the 6th of December. Víctor finished in the sixth place position doing a very good performance throughout the championship. 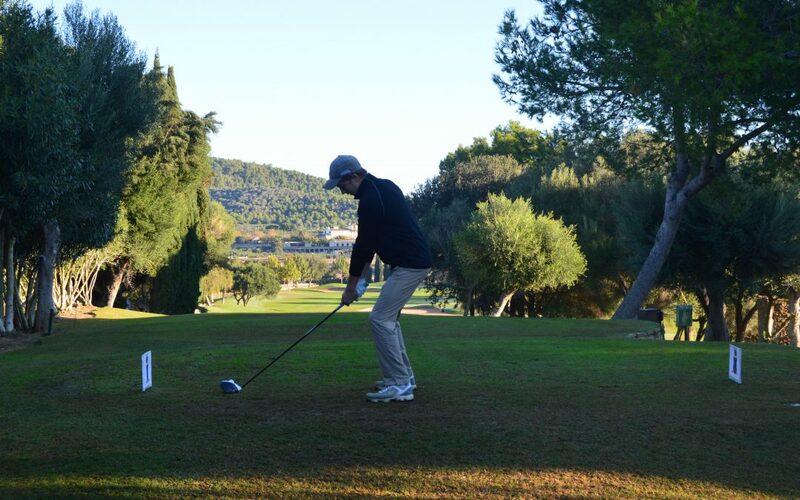 After Christmas, we will attend the Copa de Andalucía (From the 9th-12th of January in Guadalmina) and we will welcome the St. Andrews´ College Golf Team to train (from 11th until the19th of January) and play the first match St. Andrews University vs UGPM!! We are looking forward to start 2017 with more motivation than ever!